A cobbler , a deep-dish fruit pie with a rich biscuit crust, usually only on top. would be a perfect dish to make with Extra Fresh Figs. 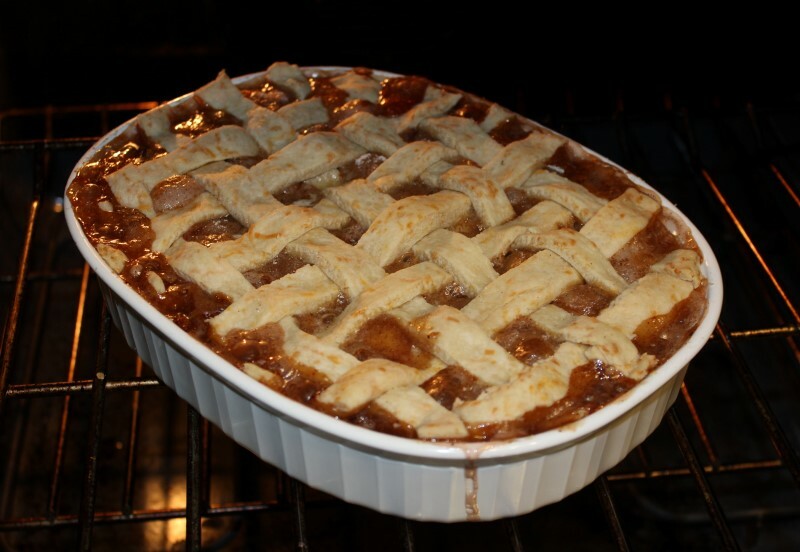 The crust a tasty biscuit dough is highlighted in taste by the shredded cheddar cheese used Don’t have time to make the crust…a store purchased pie crust could be substituted. This recipe is an adaptation of an 1986 Southern Living Magazine post. Arrange figs evenly in a lightly greased 10x6x2" baking dish; sprinkle with the lemon juice. Combine sugar, flour, cinnamon and nutmeg. Stir well and sprinkle over figs; dot with butter. For the dough, combine flour & salt; cut in margarine until mixture resembles meal. Stir in cheese. Add water, 1 tbsp. at a time. Stir with a fork until blended and roll out. Roll cheddar pastry out to 1/8" thickness on lightly floured surface; cut into 10 x 1/2" strips. Arrange in lattice fashion over figs. Trim edges. Bake at 350º F. for 40 to 50 minutes.